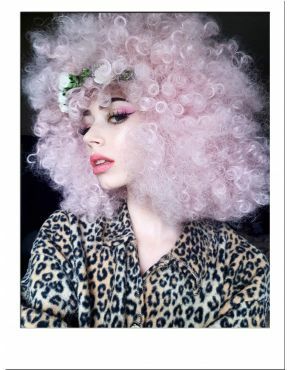 Incredibly versatile, avant-garde pink wig ideal for a range of themes including carnival, cabaret, masquerade and Baroque. This full and thick wig boasts a full head of gorgeous, textured pastel pink hair. Each strand is designed to be back-combed to create that authentic cotton candy effect. Add pearls and oversized hair bows for the ultimate burlesque glamour style. Our Premium Princess collection has been designed for customers requiring that extra special wig to complement a more authentic costume. The Pink Cotton Candy Wig comes boxed with presentation packaging, wig cap and speciality wig comb. Fibre: Extra Density, Hand Sewn 100% Premium Heat Resistant Synthetic. Withstands temperatures up to 200C. Flows like real hair with an extra soft and silky feel. Use straighteners, curlers and tongs to style again and again.